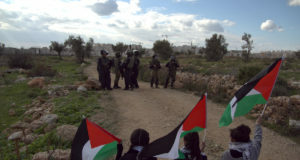 February 2007 marks the second anniversary of the weekly non-violent protests in opposition to the “work-site of shame” for the Apartheid Wall that has annexed almost 60% of the land of Bil’in village in the West Bank. 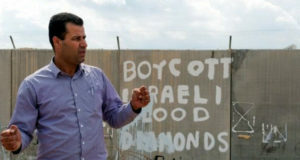 Bil’in has become a symbol both of the theft of land across Palestine and of the power of non-violent grassroots movements in building local and international resistance to Occupation. 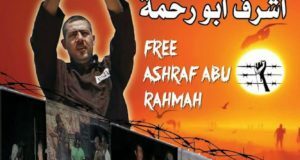 The International Conference will follow upon a Palestinian conference to be held in March to extend the Popular Non-Violent Struggle across Palestine and offers Israelis and Internationals opportunity to join their Palestinian partners in spreading non-violent resistance to the injustice suffered by Palestinians: land confiscation, home demolitions, checkpoints, and imprisonment behind the Wall. The year between June 2007 and May 2008 provides an effective framework for highlighting the ongoing Palestinian catastrophe: 90 years since the Balfour Declaration, 60 years since the Nakba, 40 years of Occupation, 25 years since Sabra/Shatila, 20 years since the First Intifada, 5 years of building the Apartheid Wall. Join us in strategizing effective, concerted non-violent action in Palestine and across the globe!